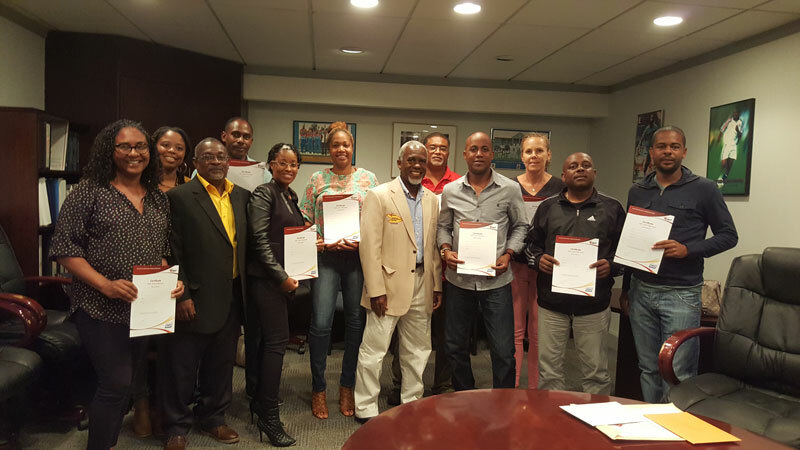 The Bermuda National Athletics Association had ten people who spent the last two weeks taking the IAAF Level 1 coaches certification course, and all ten participants have passed the course. BNAA President Donna Raynor said, “This was a very grueling course which took them through every event in athletics. Not only did they have to learn about the events but they had execute the event as well. “The instructors Roy Thomas and Craig Connors were very pleased with the enthusiasm of the participants and of course that all of them passed. They a practical exam on one day and a very long and intense written exam the next day to conclude the course Saturday November 5th. “We now have 10 more certified coaches, Tamika Miranda, Wayne Bean, Monique Lugo, Denika Wade, Jerome Richards, Victoria Fiddick, Janine Scott, Larry Marshall Jr., Kerry Maxwell, and Rohaan Simons.